The 26-year-old actress was left devastated when her 31-year-old boyfriend and 'Glee' co-star Cory died from a heroin and alcohol overdose earlier this month and has broken her silence to thank her fans and proclaim her love for the tragic star. Fans rushed to reply to Lea's message, leaving her words of support. 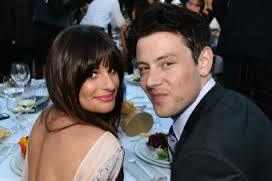 Lea opened up about their relationship before Cory's death, revealing he made her feel “unstoppable”. She said: "It's more interesting having a relationship with someone you work with because we get more attention because we play boyfriend and girlfriend on the show and we are also in real life. But he is the best person I know, he has made my life so incredible and I am so thankful for him and not only to have him as a partner but also as a co-worker. “It is important to have someone that supports you and encourage you, someone that makes you feel that you are unstoppable, that you can do anything in the world because you have him."